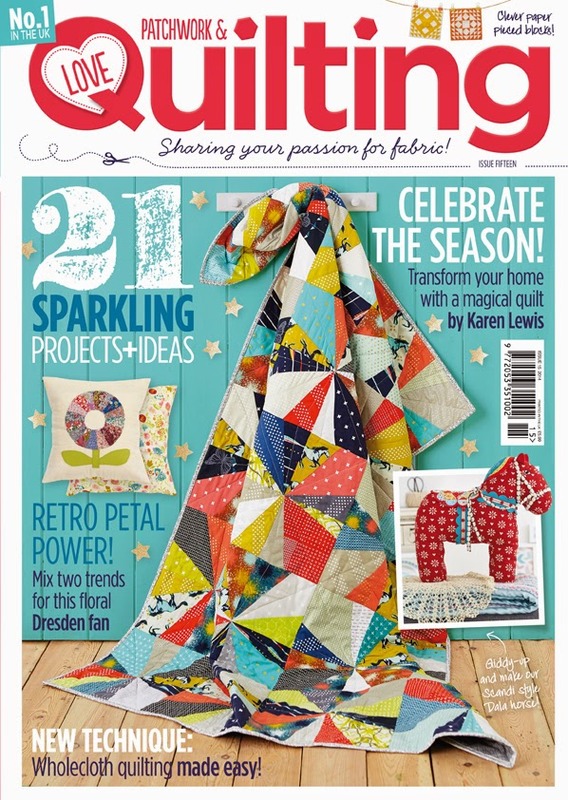 Issue 15 of Love Patchwork & Quilting signals the start of a series of three solids only quilts made by me. The first one is a Kaleidoscope quilt for which I used the new Kona Cotton colours and plenty of older ones. The quilt is paper pieced and suitable for beginners and is a great opportunity to use your fabric scraps. Those new Kona Colours are wonderful and I had a lot of fun pairing them with other contrasting colours to produce a real carnival of colours. 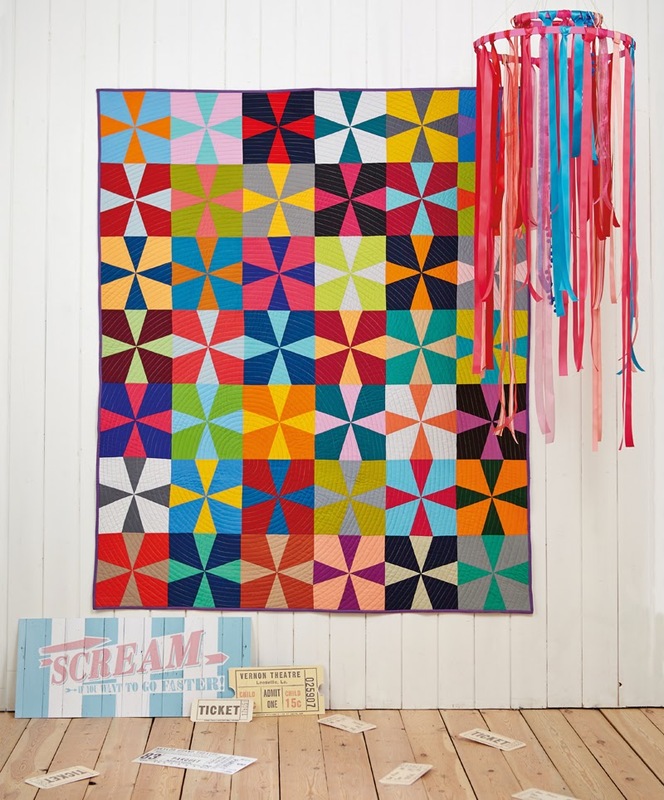 This quilt features about 80 different colours of which most are bright and a few more sedate that make the riotous ones pop out even more. I quilted in my customary continuous circle quilting technique that I have sewn a lot again lately. It really is a never ending love affaire. 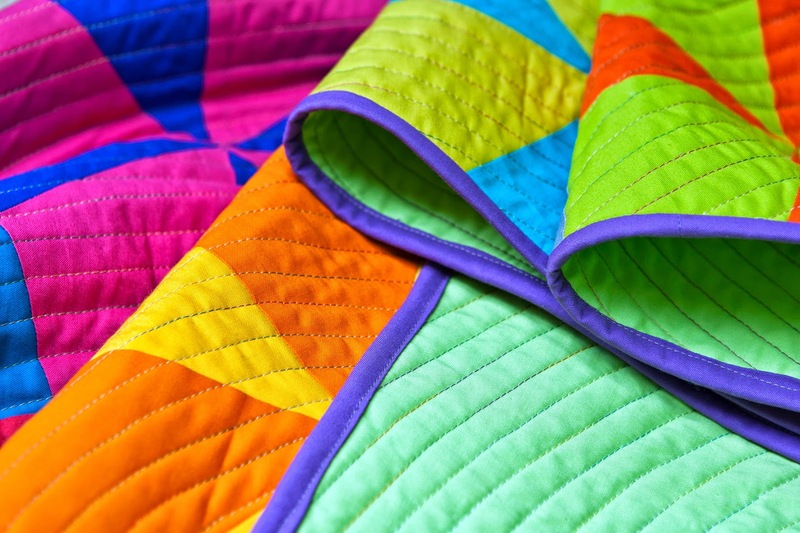 I really love this quilt, all those colours are so luscious! Gosh this is fabulous! I love your use of colour. This should have been on the cover, I reckon. 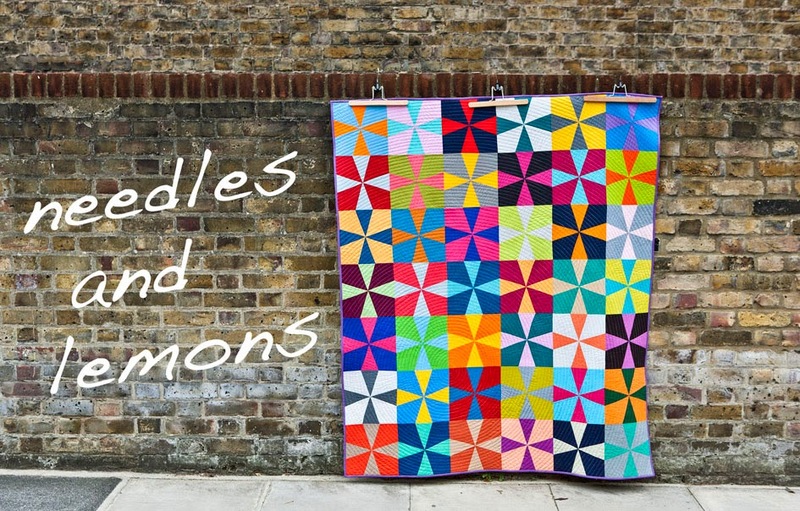 You make me want to try paper piecing - might have to be my 2015 resolution. 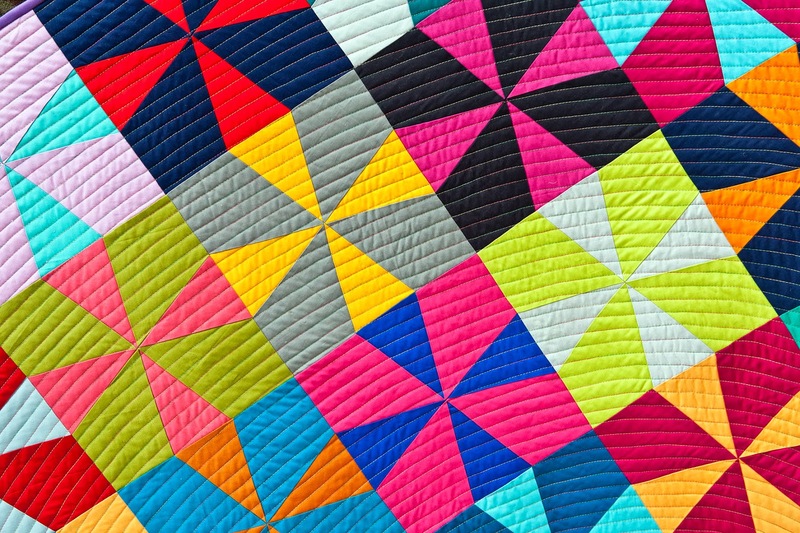 What a wonderful looking quilt - all those great colors and the binding just sets it off wonderfully. Can't wait to get my issue and make up this quilt as I have a bundle of Kona that I got many months ago just waiting for the right quilt to come along and it just did. Maybe I should wait for the other quilts before I do this one. Ooooh I just love it, and the quilting is fabulous! Nice color on the binding!! Lovely colors. 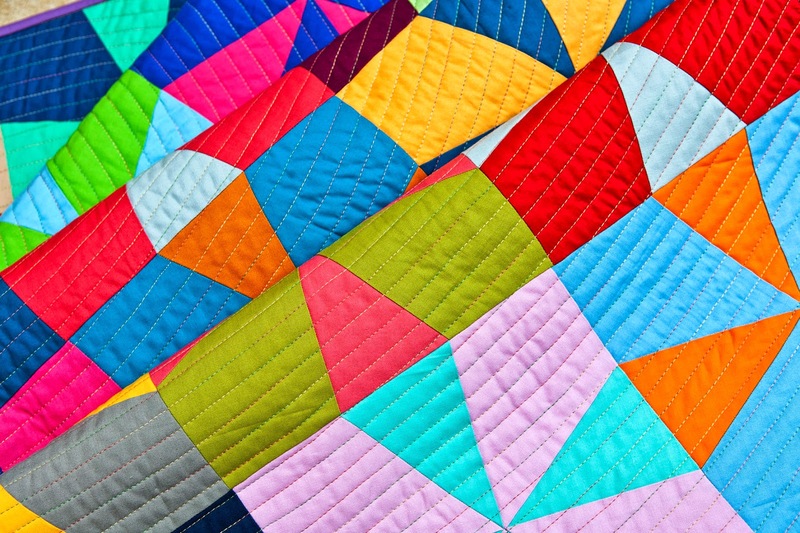 Your quilt is beautiful and inspiring. I made my first all solid quilt last month and I love working with solids more than prints.